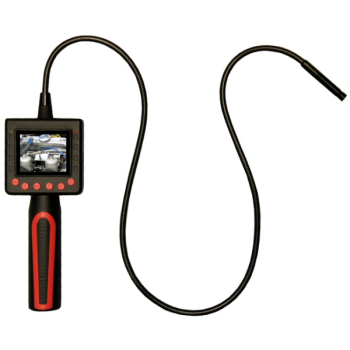 The Digitech-i Portable Video Recording Borescope is a new detection equipment which comes integrated with a 2.4' TFT LCD display, super fine 10mm digital probe, a 300k water-resistant camera, external Micro SD Slot for recording Videos and Photos complete with four adjustable LEDs plus a AV connector for your TV. It's small size, light weight design and easy to use mechanism makes it a cost-effective tool for many fields such as machinery, chemical, aviation, security and other areas. Micro SD Slot for Recording Videos and Snapshots.